Now that the old self has been discarded like filthy clothes, it is time to put on the new clothes of God’s kingdom. But before Paul unveils this wardrobe, he reminds the Colossians of three great truths. First, they are God’s chosen people. This is a title given to Israel in the Old Testament. Paul, a Jew through and through, recognizes that, in Christ, the doors of God’s choice have been thrown open. Now all may enter, whether Jew or Gentile, circumcised or uncircumcised, barbarian or Scythian, slave or free. All are welcome through faith in Christ. Second, they are holy. They have been set apart for God’s purposes. As Paul explains in Galatians, Gentiles have been welcomed into God’s family as the fulfillment of the promise made to Abraham. Similarly, they are welcomed in so that that promise – that all the nations of the world will be blessed – will continue to be fulfilled in every tribe and tongue throughout all generations. God’s love is unending, unconditional, and unquenchable. Third, they are dearly loved. God dearly and deeply loves the world, so much that he would give his only Son to be the atoning sacrifice for everybody’s sins. God’s love is unending, unconditional, and unquenchable. There is nothing, Paul declares in Romans, that can separate us from the love of God that is in Christ Jesus. Compassion, which literally means to suffer with, is the practice of being sensitive to the needs of another, and then doing whatever possible to meet those needs. When we put on compassion, we put on a pair of glasses that allows us to see others who are in need. It is natural to be so focused on your own affairs that you don’t see the hurt and pain of those around you. Compassion, therefore, is an unnatural act of restorative empathy. Kindness is lived empathy. Acts of kindness can flow from a compassionate heart, but it can be so much more. Selflessness is the root of kindness. When we are kind we treat others the way we would like to be treated. Humility is one of the most important Christian virtues of all. Humility is the ability to see oneself aright, both in relationship to God and to others. Godly relationships require humility from all parties, for pride separates brothers. It is humility that allows us to have meaningful friendships with those who are not like us, thereby fulfilling the truth Paul so proudly acclaimed in 3:11. Gentleness is not to be mistaken for weakness. As many have said, gentleness is “power under control.” A gentle person is not a weak person, but rather someone who knows how to control and direct the power they possess. A patient person trusts in the judgment of God, and does not run swiftly to condemn others who have mistreated them. Patience involves more than waiting; it also includes the idea of longsuffering. Patience is the ability to bear injustice without pursuing revenge. A patient person trusts in the judgment of God, and does not run swiftly to condemn others who have mistreated them. Paul then calls upon the Colossians to “bear with” those who may be difficult, applying particular emphasis to forgiveness. Injury and offense will occur in any community this side of heaven, especially in the church. But there must be no grudges held amongst God’s chosen people. Paul reminds his audience of the grounds for forgiveness – Christ himself! Our forgiveness must mirror the forgiveness of Jesus. Which is to say, we must forgive every offense committed against us. The church is most truly the church when its members are swift to forgive. Now comes the grand finale! The most beautiful garment of all – and the most necessary to be dressed in the attire of God’s kingdom – is love. Specifically, this is agape love, the love of the cross. Agape love is the defining characteristic of Jesus’ followers, and therefore is the final and greatest piece of the wardrobe, the one that holds them all together. All of the pieces of God’s kingdom fashion line are brought together by agape love, perfected in beauty, strengthened in purpose. Quite frankly, without the love of the cross manifested among its members there can be no church. The church exists where there is self-sacrificing, rights-denying, sin-forgiving love. Agape love is the defining characteristic of Jesus’ followers, and therefore is the final and greatest piece of the wardrobe, the one that holds them all together. Paul now makes a plea for peace. This does not necessarily mean that he was aware of strife within the church, but that he longs for there to be peace in all of the churches. This peace is not simply the absence of conflict, but the very peace of Christ, which he gave to his disciples at the Last Supper. “It is the quiet disposition which arises when people are committed to the lordship of Christ in their midst.”[ii] Believers are called to peace because they are called to membership in one body. Every local church is a unity – one church. A divided church becomes extremely vulnerable to the attacks of Satan, therefore the peace of Christ must be pursued by every church body. 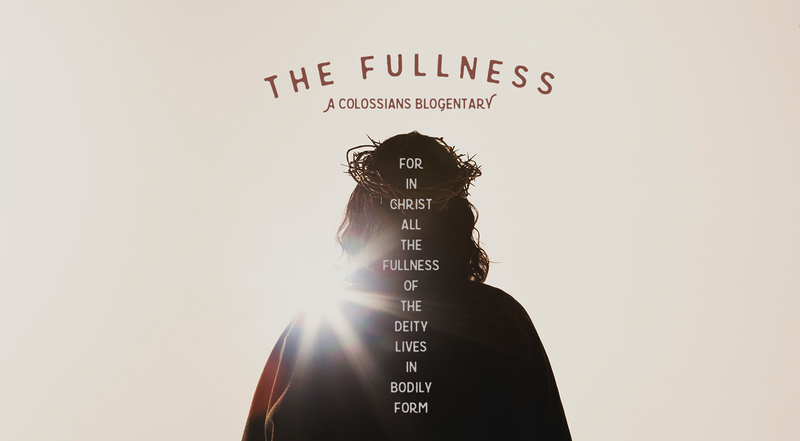 The message of Christ, which Paul wants to dwell in the Colossian church richly, is the Gospel and its many implications. There are many teachings, and indeed many false gospels, but there is only one Jesus. It is the message of his death and resurrection, and all that means for us, that enriches every church. There is no treasure in any teaching that deviates from the Gospel. From this storehouse, the members of the church are called to teach and admonish one another. This carries the sense of teaching true doctrine and calling one another to good action. We need each other to both believe and behave rightly. The members of the church are responsible to foster an environment in which the message of Christ is declared and demonstrated faithfully. This often takes the shape of congregational singing, something the church has been doing since the very beginning. While there are many different types of songs, they should all have the aim of edifying the body in truth and righteousness. Paul closes this exhortation with broad strokes. “Whatever you do” is precisely that – no matter what you’re doing or where you’re doing it, do that thing in the name of Jesus. Of course, the only things that can be rightly be done in Jesus’ name are the things of the new self, the virtues found in the garments God’s kingdom wardrobe. But the sense is clear. Whether at work or home, whether in word or deed, do everything in the guise of the new self. Oh, and there is just one more thing. Three times Paul urges the Colossians to be thankful. Gratitude is always the proper response to God’s grace. He has given us everything we could ever need. What else can we do but be thankful? No matter what you’re doing or where you’re doing it, do that thing in the name of Jesus. It isn’t enough to stop sinning, as if such a thing were possible. The kingdom of God does not consist in simply not doing the wrong things. There is both an old self and a new self. In the power of the Spirit, we have to start doing the right things. The garments of God’s kingdom fashion line are not optional. These are the clothes we must wear! Christians can’t simply stop being mean to their enemies, as though ignoring them could improve the situation. Instead, Christians have to be compassionate and kind, even to those who wish us ill. At the very least, we have to exercise all of these virtues within our own churches. A church should be a warm place, rich in forgiveness, love, humility, and patience. We must also stay true to the Gospel. There are many false gospels, including the so-called prosperity gospel, that have snuck into the church and have led many astray. But any false gospel is really no gospel at all. As Paul has already gone at lengths to make clear, any teaching that is not centered around Christ is worse than useless. Only the message of Christ can build up believers and bring sinners to repentance. [i] Anders, M. (1999). Galatians-Colossians (Vol. 8, p. 331). Nashville, TN: Broadman & Holman Publishers. [ii] Melick, R. R. (1991). Philippians, Colossians, Philemon (Vol. 32, p. 301). Nashville: Broadman & Holman Publishers.